Nan Drye: Finally! 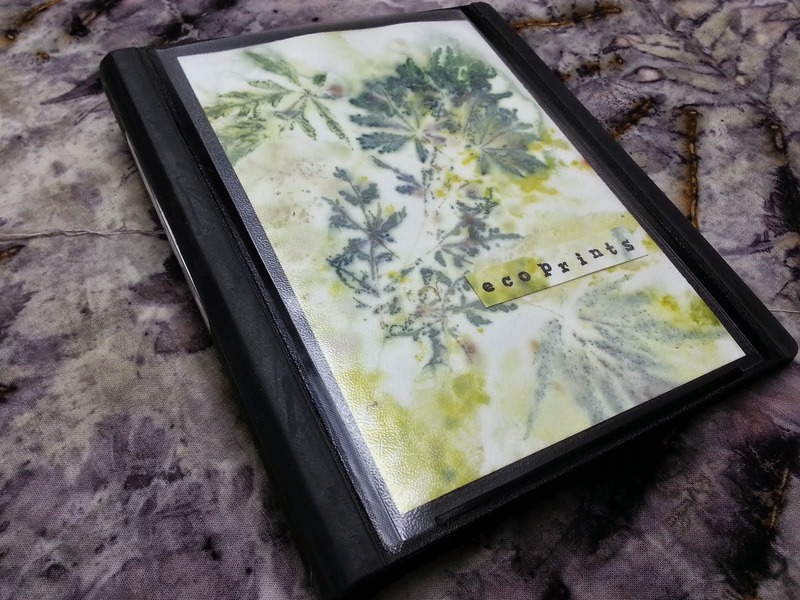 An Eco Print Sample Book. Finally! An Eco Print Sample Book. Since I have been gathering fall leaves I have had a lot of questions as to why I am "raking" public parks and the yards of total strangers with my bare hands. I came up with this little binder to show them. I didn't have a lot of prints I was willing to part with for this purpose so I will throw in some process shots and maybe even some paper for me to jot notes on. The front cover is an eco print on paper - lace leaf maple with alum as the mordant. Goodbye to Green for this Year!